Janet Lorimer has been writing for children for over thirty years. She taught writing classes at Leeward Community College in Hawaii, and worked for two years as an associate editor and staff writer for Hawaii Parent Newsmagazine. She and her husband now live in Arizona. 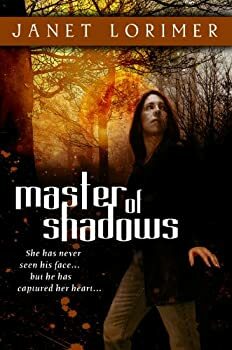 Master of Shadows is her first novel for adults. CLICK HERE FOR MORE FICTION BY JANET LORIMER. With a single sentence, Janet Lorimer establishes the mood of Master of Shadows. And there, she starts a familiar story — Beauty meets the Beast and goes to live with him in his enchanted castle. That is, he could be a beast. Since he is always shrouded in a cowl, Ariel doesn't know for certain.